Developing complex software without a clear understanding of the underlying complexity is an invitation for troublesome implementation, scope creep and budget overruns. 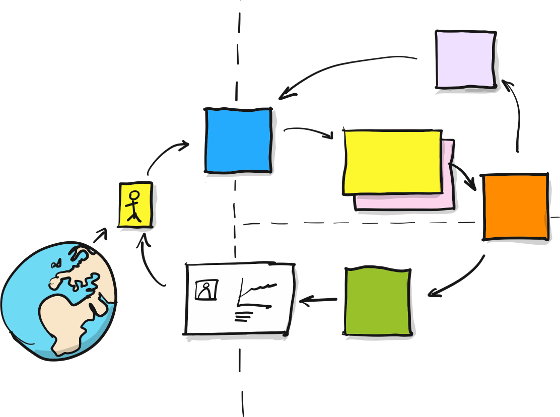 EventStorming addresses these problems by allowing a massive collective learning experience around the business processes involved in an enterprise software development project. explore and design solutions for the highest impact problems. That’s the destination but the journey could be even more interesting. Every participant will actively contribute, with questions, expertise, insights and doubts, all leading to a visible model of the collective level of understanding. Participants will quickly learn a lot more about the nature of the larger system they’re working in. Discussion will be triggered by the emergent model allowing deeper insights and solutions to long lasting problems. A common understanding of large scale interaction will provide foundations for self-organisation around the emergent process. A clear understanding of the whole complexity will allow people to make better choices, significantly reducing the project scope size. The standard format takes one day, divided in two distinct parts. The morning is dedicated to Big Picture exploration. It is usually highly interactive and involves all the key roles involved in the process. This is usually sufficient to highlight critical risks and blockers and select the n.1 problem to be solved. The afternoon will be a Design Level workshop, usually restricted to a smaller number of people directly involved in designing and implementing the solution to the highlighted problem. We’ll dig deeper into key interactions, understanding the motivations and the key enablers behind user decisions happening in the business flow. We’ll be guided into an emergent, loosely coupled, event-driven architecture that can provide critical breakthroughs in comparison with the current legacy implementation. Software designers, UX designers and business stakeholders will be cooperating towards a solution with the maximum business effectiveness. The workshop is designed to provide a common ground for inter-discipline communication, and will adapt to the participants’ background, therefore we recommend to involve all the people involved in the actual problem solving. Ideally, a perfect match of people with answers and people with questions. 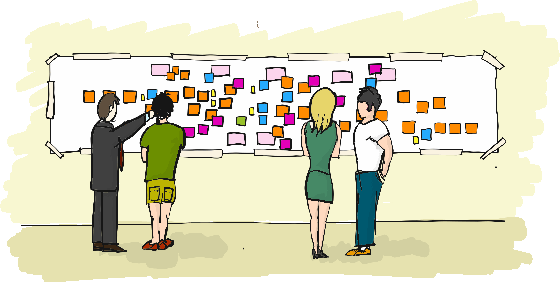 This usually maps with the key stakeholders, the design and development team, plus a facilitator. Inclusion is far better than exclusion, so… whoever is interested in joining should be allowed to. How many people should participate? We facilitated workshop up to 30 people within a 1-2 days formula. More participants may require a special setting, and of course the location will have to be carefully selected. Afternoon session usually involves 5-10 participants. No. The action will happen in one place. Remote participation won’t be nearly as effective as in- person. Why should we hire a facilitator? Having all the relevant people in the same room, without a plan to manage the interaction could be a recipe for disaster. A facilitator allows key people to focus on the learning and modelling experience only, taking the burden of managing the interaction. The facilitator is not involved in internal politics and could be free to speak out on critical issues. Are there special room requirements? Yes they are. Most of the activity will happen around the walls. Rooms with long straight walls (8-10 metres) work very well. Meeting rooms with a large table at the center should usually be avoided. EventStorming has been included in the last two edition of ThoughtWorks Technology Radar, as one of the most interesting emerging techniques. It’s becoming a de-facto standard in the Domain-Driven Design community, for exploring and designing complex interactions. A wide range of organisations has benefited from it: from online marketplaces, to financial and trading institution; from small startups to large scale enterprises. 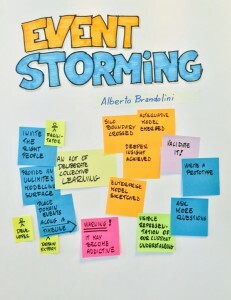 Alberto Brandolini is the inventor of EventStorming and author of Introducing EventStorming – An act of deliberate collective learning. 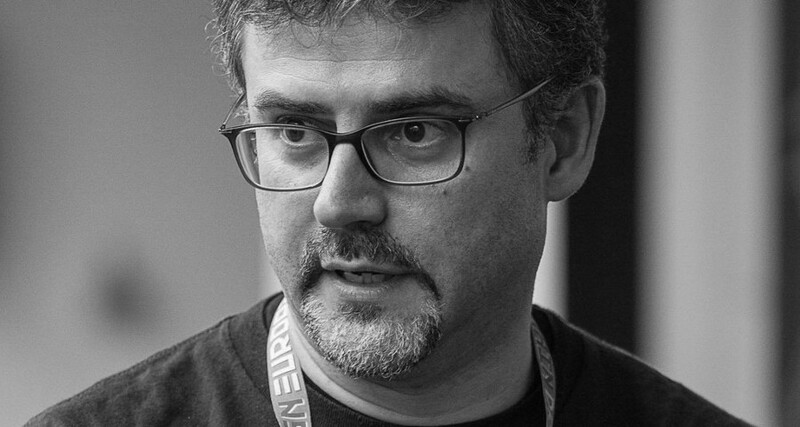 His experience as software architect, agile coach, trainer and entrepreneur makes him the ideal translator for a wide variety of themes that will emerge during the workshop. Are you interested in this class? You can ask about on-site delivery or be informed about free seats.